Baggy fit crop pant has roomy pockets, knee darts, pocket at right knee, toggle bungee cord drawstri..
Echappe This full length pant features a fitted leg with flare for unrestricted mobility and fr..
Black jazz pants feature a low rise waist with a contrast front wrap hip band and an accent color bi..
Pilar This dance inspired high waisted legging features a full length leg with a stirrup foot. A w.. These Girls Ripstop Football Pants have a drawcord waist and an elastic above the knee finish. These..
CAPRI PANT made in USA ..
V-Front Jazz Pant Nylon/Spandex made in USA ..
JAZZ PANT in Variable inseam lengths 90% Cotton/10% Lycra®Spandex ..
V-FRONT CHILD CAPRI PANT V-front fitted waistband. ¾ length with slight flare to the leg ..
Rajani This children's full length pant features a loose fitting leg with elasticized ankle..
V-FRONT BOOT LEG JAZZ PANT ..
PANT / CP9318 NEW !!! Applique Mesh Pocket Harem Pants Flower embroidered and sequin tulle pocket trim harem dance pant..
Baba A great pant to take you from the street to the studio in style. A drawcord waistband is s..
PEKE KIDS PANTS Cotton stretch material. Two front side pockets. Elasticated cuffs .. These V-front crop pants have moisture management qualities that move like a second skin. 92% Mic..
Παντελόνι 7/8 παιδικό. Χορέψτε με αυτές τις λουλουδιένιες γκέτες, σχεδιασμένες να ξεχωρίζουν από ..
Προσθέστε στυλ στις δραστηριότητές σας στο στούντιο με αυτή το μικρό Pocket Short. Μια άνετη φαρδιά ..
Savannah This dance inspired harem pant is the perfect addition to your athleisure wardrobe. Comfo..
Karla This micro length short has a fitted leg which allows for unrestricted mobility and modesty t..
HEART MESH CAPRI These mid-rise capri leggings feature heart mesh accents at the waist and hem of..
Boy-Cut Short made in USA ..
BW ProWEAR® Boy-Cut Short made in USA ..
ΣΟΡΤΣΑΚΙ ΜΕ ΦΟΥΣΤΑ MADE IN USA .. HOT SHORT Nylon/Spandex made in USA ..
SHORT / CR2704 NEW !!! 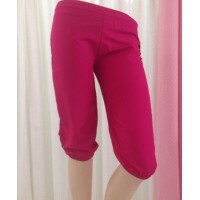 V-front waist dance short Microlux nylon / Spandex ..
Arriere Girl's classic cotton dance short features a V-front waistband. 90% Cotton, 1.. Girls Studded Shorts 90% Nylon, ​10% Spandex ..
Maisie This micro length short has a fitted leg which allows for unrestricted mobility and modesty ..
Sia These cute printed briefs are a dance wardrobe staple. A great piece for performance or to laye..
Skirted Shorts Young dancers love this unique style that blends the skirt and short to fit ..
ΦΟΥΣΤΑ ΜΕ ΕΝΣΩΜΑΤΩΜΕΝΟ ΣΟΡΤΣΑΚΙ made in USA .. These pants are above the knee length. 90% Meryl Nylon, 10% Spandex ..